While some artists are content to just dip their toes in the pool of creativity, England’s Changing Horses chooses to disregard the “No Horseplay” sign and go straight for the running cannonball approach. Consisting of the duo of Richard Birtill and Francesca Cullen, Changing Horses fall somewhere on the musical spectrum between an amped up Sufjan Stevens and a lower head count version of Arcade Fire. 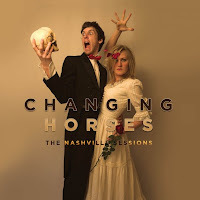 For their first release, The Nashville Sessions EP, they use every instrument they can get their hands on to pull off their unconventional, yet still ridiculously catchy, orchestral-flavored songs. The Nashville Sessions EP was birthed when producer Chris Donohue, who has worked with such heavyweights as Elvis Costello and Emmylou Harris, was given some of Richard’s demos and convinced him to fly all the way to Nashville to do some recording. Richard brought along Francesca so they could record as a duo and they ended up with a very cool and very ambitious debut EP. Album opener, “Cut All Strings,” uses mandolin, acoustic and electric guitars, bass, drums and a string section to create a really smart pop song that won’t leave your head without a fight. It’s one of those songs that you find yourself singing along with before you even know all the words. “I Don’t Need It” is probably my favorite track of the bunch. It’s got a lot of movement and personality and it would be easy to see a song like this get some well-deserved exposure for the band. “’Till Death” is a hilarious tongue-in-cheek ode to that special someone that can drive you crazy like no other and it sounds like it could have been played at a 17th century ballroom dance. Drum loops and synthesizers show up on “Tom Brown” without being overused or sounding abrasive against the other natural sounding drums, guitars and strings. Even with all of the instruments that show up on The Nashville Sessions EP, the star of each song is Richard’s voice. The way he sings and franticly delivers his lines makes each song a little more interesting and a little more dangerous. It works really well within the context of these songs and creates a nice dynamic to listen to. There are so many impressive things packed into these six songs and I’m excited to hear what Changing Horses has in store for the future. 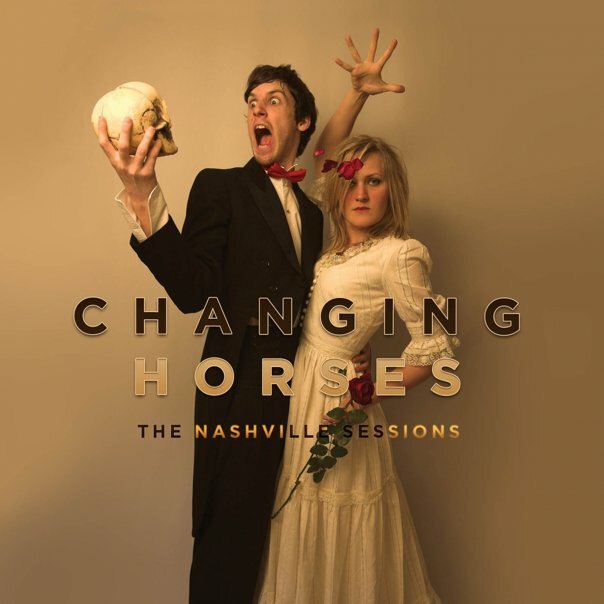 You can find out more about Changing Horses at their website here and you can purchase The Nashville Sessions EP at iTunes here.